Trails & Tracks Alert . 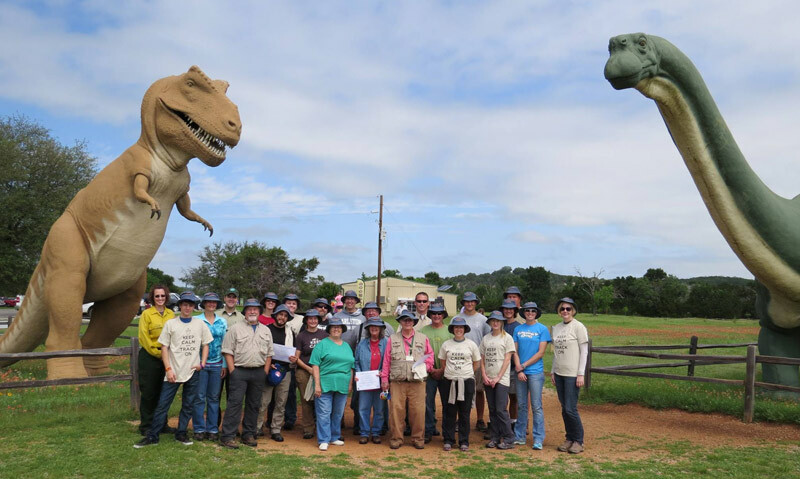 . .
Dinosaur Valley, Cleburne, and Meridian state parks will host the 7th Citizen’s Park Ranger Academy in September 2018. The program will be over the course of one weekend, while you camp with the rangers at Meridian State Park. Consider the academy a gateway to building long-lasting partnerships. After attending, you should have an in-depth understanding and appreciation of the three parks, the Texas State Parks system, our staff, and Texas State Parks’ purpose and mission. Check back in August for registration details. Email Robert Enckhausen for more information. Citizen’s Park Ranger Academy (CPRA) students must be 15 years of age or older to attend without a parent. Students 13 to 16 years old must have a parent or adult sponsor (over 18 years old) camping with them in the park. Students 13 to 17 years old must be enrolled in middle school, high school, or the equivalent. Attending the CPRA is a privilege. We may ask students to leave the park if they become disruptive or are unable to follow safety protocols. Students must sign a Texas State Park waiver to participate in CPRA activities. Students may not bring their children to the park unless they arrange adequate supervision. The park is unable to provide child care for CPRA students. Children can only attend the academy if they are CPRA students. Students must be prepared to walk, hike, crawl, dig, stand, jump, lift, and take on other physically demanding tasks as part of the CPRA. Please email Robert Enckhausen if you have concerns about the physical aspects of the academy. Students should immediately tell park staff if they are unable to perform any tasks. Students will still be able to participate, but may only be able to observe other students and staff.